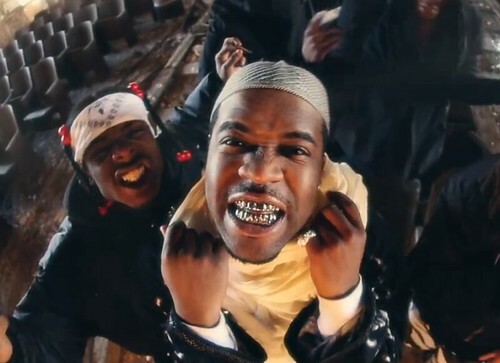 Forgive A$AP Ferg for all his sins. The Harlem-native attends to unfinished business in “Persian Wine,” a cut off A$AP MOB’s Lord$ Never Worry. Directed by Ferg and Thuan Tran, the twisted gritty visual takes us for a ride filled with guns, a kidnapping, and various forms of religious symbolism. Expect the “Work” remix with A$AP Rocky, Trinidad James, ScHoolboy Q and French Montana to arrive soon. Had to turn it off after that. If Rick Ross can be held accountable for questionable lyrics I think its time all arrest should be. I don’t know how I feel about A$AP MOB. On one hand, I’m a fan of Harlem movements (read: Diplomats) but on the other hand, these guys aren’t half as good(minus maybe Rocky). Their strength lies in fashion, not lyrics.